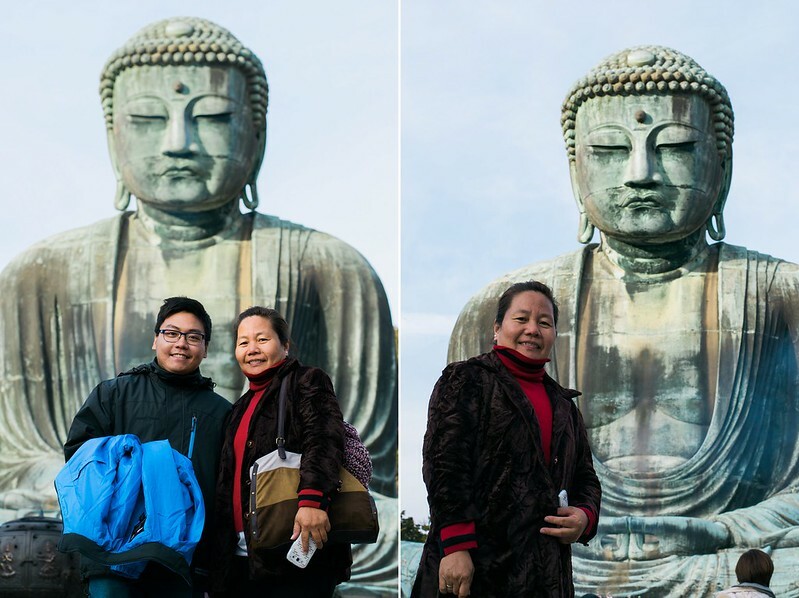 October 27, 2015 March 16, 2015 by Ada W.
After spending almost 2 hours in Engakuji Zen Temple, we hopped on the train to Hase Station, which is just a few minute walk to the Great Buddha. 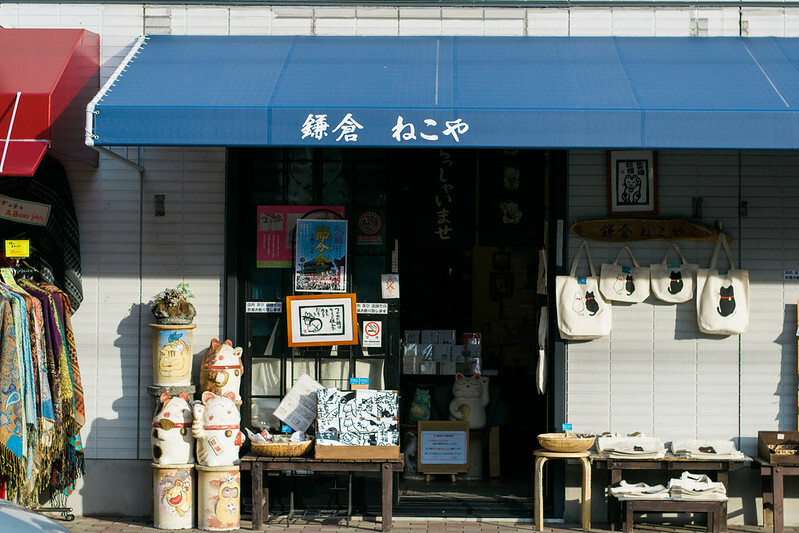 They say that if you want a quick glimpse of Kyoto from Tokyo, traveling to Kamakura for a day would be your best option. 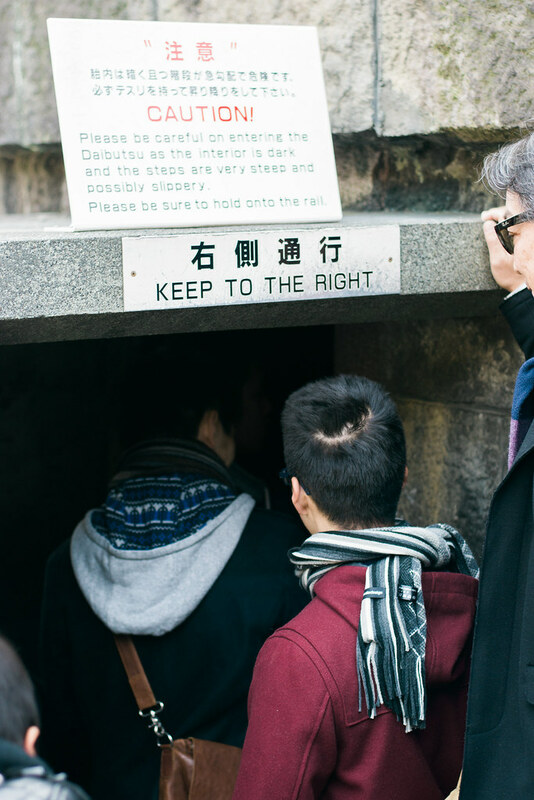 I personally haven’t been to Kyoto so I can’t confirm if this is true, but when I saw the old storehouses as we walked through the streets of Hase, I got the feeling of traveling back in time. 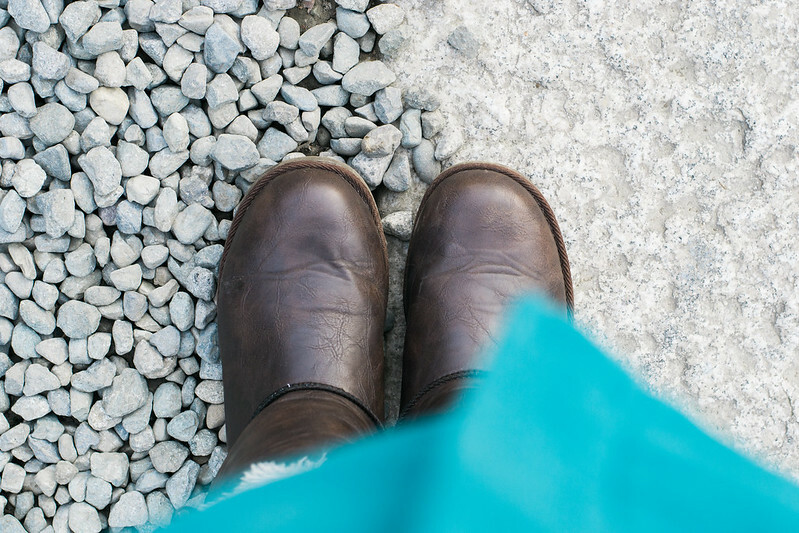 Everything was so rustic and quaint, with some hint of cuteness. As soon as we arrived at the gate, the big statue caught our eyes. 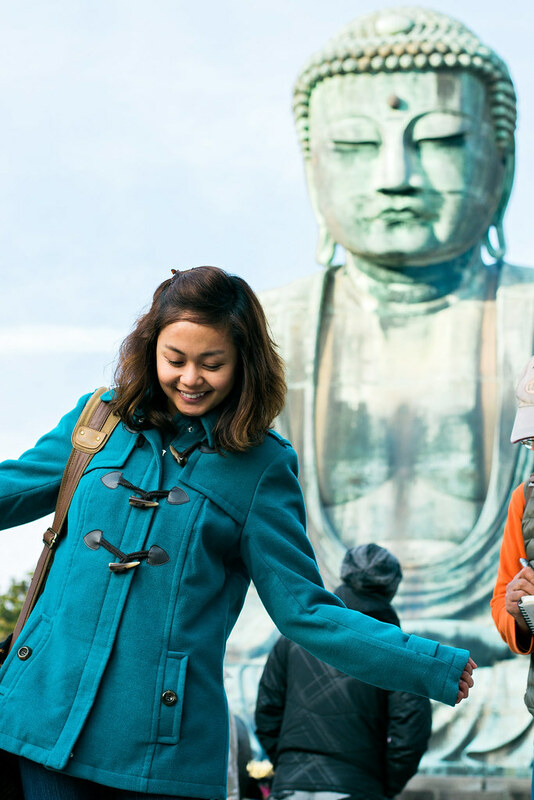 For an admission fee of 200 yen per person, you get to see the Great Buddha up close and personal. 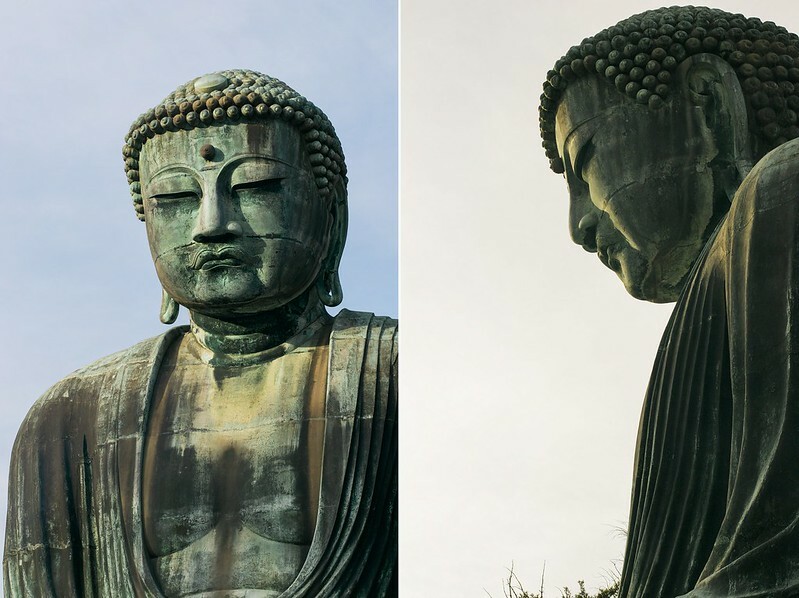 The Great Buddha is a famous icon in Kamakura. 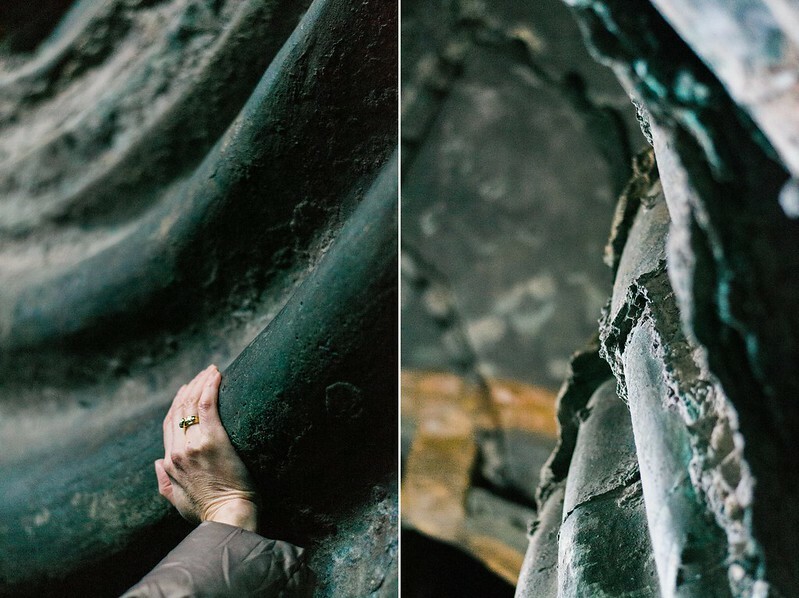 Made from copper and constructed in 1252, the Japanese government designated it as a National Treasure and a priceless example of the Japanese historical Buddhist art. 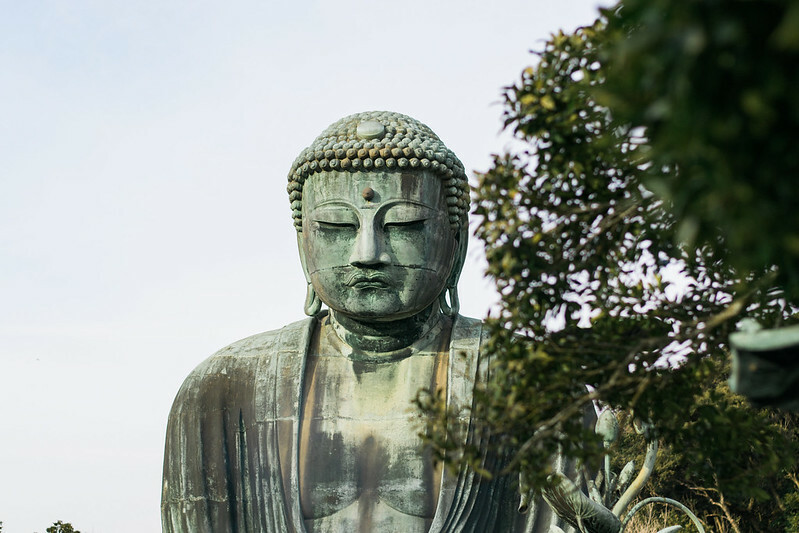 When the Great Buddha was first built, it was enshrined in a building called Daibutsu-den Hall, but this building was destroyed by the typhoons during 1334 and 1369, followed by a severe earthquake in 1498. 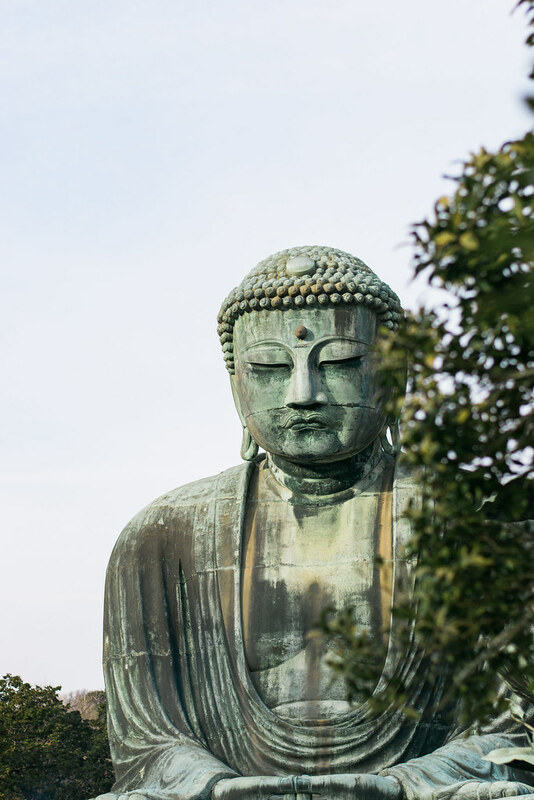 Since then, the statue sits out in the open and gained vast numbers of Buddhists visitors of all sectors and tourists from around the world to pay their respects. Met these ladies from Thailand wearing kimono and had picture taken with them. I also met a Japanese visitor who thought I was from Thailand. He was very eager to practice his English so our conversation lasted for about 5 minutes. 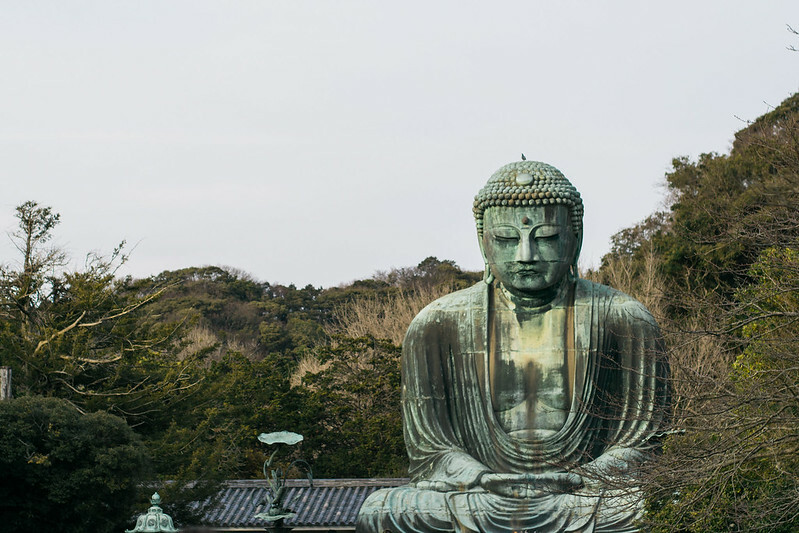 Only 90 minutes train ride from Shinjuku, visiting Kamakura is something you shouldn’t miss when traveling to Tokyo. 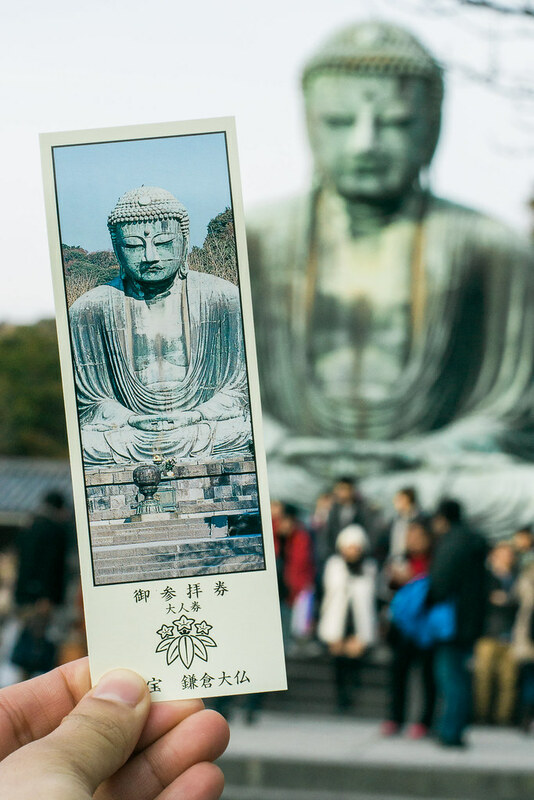 There are numerous sightseeing spots throughout Kamakura aside from the Great Buddha and would definitely make your Tokyo Travel a trip of a lifetime.